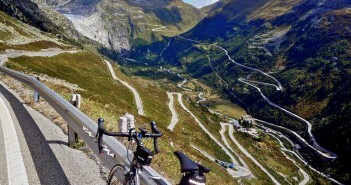 The Ten Highest Paved Cycling Climbs in Switzerland. 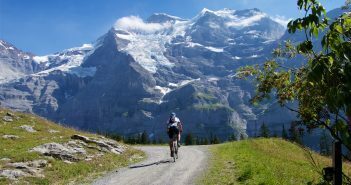 Maps, photos, profiles, etc. 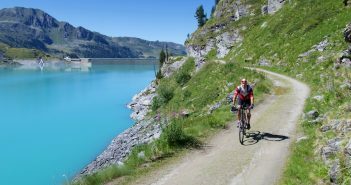 A super fun 20 kilometre cycling climb to Lac de Mauvoisin. 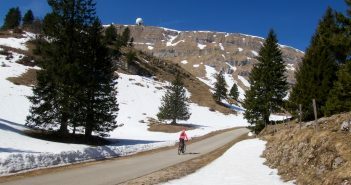 Then 14 kilometres deeper into the Alps on a mountain bike. Map, photos, etc. 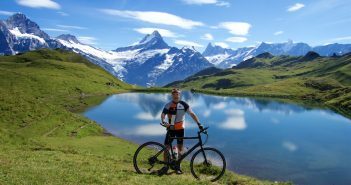 Cycling the superb and challenging Klausenpass, in eastern Switzerland. 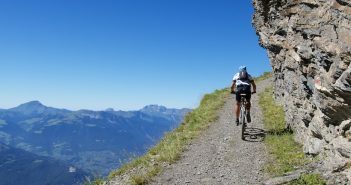 Map, profiles, photos, etc.